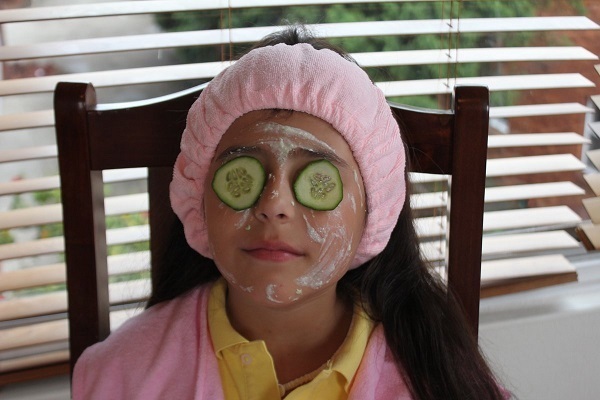 We all know how much women love a little pampering and 'me time'. There's nothing more relaxing than luxuriating in a day spa environment while having a manicure or pedicure with a glass of something bubbly in hand. Now this kind of experience isn't only for 'big girls'. 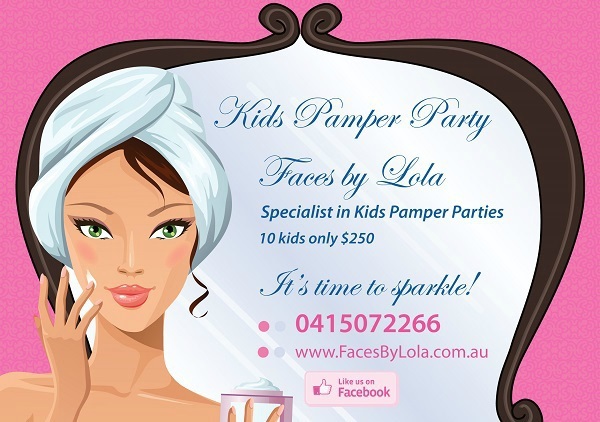 Thanks to Kids Pamper Parties from Faces by Lola your little princesses can enjoy it too. Lola is a make-up artist and mum who knew how difficult it was to come up with something new and different for children's birthday parties. After doing some research she decided to put her skills to good use and her mobile Pamper Parties for kids aged from 4 to 14 were born. It's the perfect party set-up for children and busy parents. All you have to do is supply the venue and food and then sit back and watch as the kids enjoy themselves. The Party Host will bring music, magazines, flowers and more to set the scene of a beautiful day spa in your home. All beauty treatments are made out of fresh ingredients to avoid any allergies. Children will be entertained and pampered for 1.5 - 2 hours. Happy girls enjoying their 'bubbly". Both packages include free printable invitations, photos on the day and a present for the birthday girl. All packages can be individually tailored for your needs. The cost for all this luxury and fun is $250 for up to 10 children and $25 for each additional child. You can book online here or call Faces by Lola on 0415 072 266. You can also visit their Facebook page or website. Why? 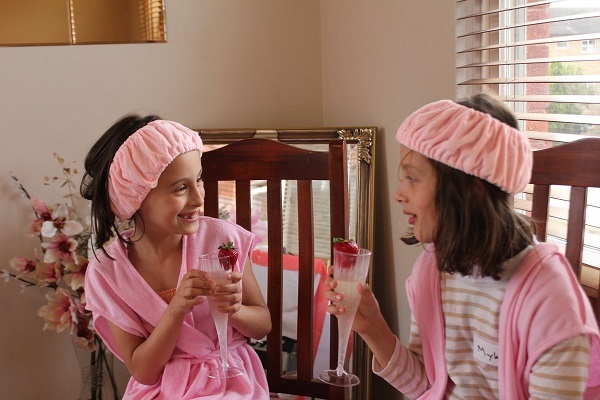 Children enjoy being pampered too.